FCC documents reveal that the Nokia 9, which already was certified by the regulatory agency with the model number of TA-1004, will now be known as the TA-1012. In a letter to the Feds, manufacturer HMD requested the change noting that the previous FCC results for the TA-1004 are representative of the TA-1012. 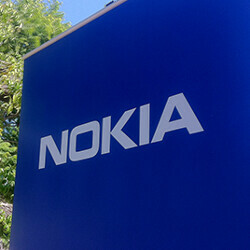 HMD holds the license to use the Nokia name on its handsets. Geekbench benchmark tests for the Nokia 9 have revealed versions of the phone with both 6GB and 8GB of RAM. Both of those models tested were powered by the high-end Snapdragon 835 chipset. Another Geekbench test of the now cancelled TA-1004 revealed a phone carrying 4GB of RAM. This would seem to indicate that HMD has killed off a version of the Nokia 9 with 4GB of the short term memory used to assist with multi-tasking. The Nokia 9 is expected to feature a 5.3-inch display with a 1440 x 2560 QHD resolution. A dual-camera setup should adorn the back of the unit, with a pair of 13MP sensors on board. As night follows day, we surely will see some additional leaks providing us with more information about the Nokia 9. Stay tuned! 8Gb of Ram is more than overkill. "8Gb of Ram is more than overkill." That's what was said when 4GB RAM had begun being the norm in flagship Android phones... Just chill, bruh. Besides, with VR really set to take off soon enough, more RAM is quite needed, and it also helps for future-proofing a flagship - most Android OEMs want their flagship to remain relevant even after a couple of years of release. That must be why they realise multiple Android version updates and essential security updates on time and for years on end. Oh, that's neat. So, if I'm understanding this correctly, Android, after version 5.1, became a hybrid OS (both 32-bit and 64-bit architecture in the same package), and thus supports however much RAM based on the CPU type, and not the OS. So if I was running, say, a Snapdragon 210 in my phone, I would have the old 32-bit limit on RAM because the OS would run in 32-bit mode, but the moment I have a 64-bit chip in the phone, it would support 64-bit OS operation, and thus have room for more RAM than I could shake a stick at. That would explain why I haven't noticed the change yet, as my phone is running Android 5.1, and undoubtedly still uses Dalvik. Thank you for the information, and have a fantastic day! What world are you living in? Android has been 64bit for a few years now. I see... thank you. But that is because it is also running on a 64-bit chipset, no doubt. If it were on a Snapdragon 2xx chipset, it would be running in 32-bit mode, if I have understood the earlier post's link correctly. "If it wereon a Snapdragon 2xx chipset, it would be running in 32-bit mode, if I have understood the earlier post's link correctly." Yes, because if a SoC does kot support 64-bit, then Android will run on 32-bit. Besides, Android phones featuring the Snapdragon 2XX series do not possess 4GB of RAM, as they are low-end budget phones. Alright, alright, so I am a little quaint compared to the modern times... I have not been as involved in smartphone development and such since the end of S60 3rd Edition FP2 (Symbian 9.3). I was a Nokia man back in the day, but the death of Symbian left me with no real favorite afterward. I do still use QPython on my Android phone from time to time, but not as much as I used to, and no where near as much as when I could just code in Python or Symbian C++ on my Nokias. It is true that Android has been using 64-bit chipsets for a long time now, but it doesn't always mean that the OS is 64-bit... just like Intel's 8086 processor was 64-bit from the beginning, but DOS and Windows were not 64-bit OS's from the start. I was aware that iOS became 64-bit - they trumpeted it to the world with so much overflowing pride when it happened, you would have thought that machines had become sentient if you believed half of the hype - but I did not notice it happen with Android because I am still using a Motorola Moto E with 32-bit Android (because it is Android Lollipop, and therefore still uses the Dalvik run time/virtual machine which is 32-bit), even though it has a 64-bit processor in the Snapdragon 410. When I get my next phone, it will have at least Android Nougat, so it should get the 64-bit mode (and I don't want anything less than a Snapdragon 4xx, so it will be 64-bit at that point). That isn't really the way I meant it. I fully understand that you can run 32-bit OS's on 64-bit chipsets, and that you don't limit a chipset just because you don't have enough RAM to saturate it. My Moto E (64-bit chipset, 1GB of RAM, 32-bit Android) is like that. See post 13 and post 7. I'm in agreement with trojan tbh..
You must understand, 8GB RAM is overkill to iPhone Fanboys right up until their master, Tim Cook, tells them it isn't. There was a time when 1GB RAM was overkill to them, heck there was a time when they believed they didn't need 3G or Video Recording on their phones. "heck there was a time when they believed they didn't need 3G or Video Recording on their phones." LMAO. Savage. "It's a bit like how the Android fanboys believed they didn't need fingerprint readers" Fingerprint reader debuted on the Motorola Atrix in 2011, and that is 2 years before Apple did it in 2013 with the iPhone 5s... "or reversible connectors and wanted micro SD slots." Reversible connectors were patent protected, so it was an issue Android OEMs had to handle, not the Android fans... and Apple has never provided microSD in their mobile hadsets. So what's the point of bringing it up? People today are doing more multitasking on their phones than their computers. Better to have more ram than get short of it. People aren't. Phones are too limited because their screens are far too small. In the world of tech, nothing is overkill, slow development of PC market made our minds stick to the slogan ,"I'm happy with what I've got". I ain't complaining when I'm forward. Choices galore. It's a good marketing technique used against the weak-minded. Release a phone with more RAM and it makes gullible users think their current phone is inadequate. Don't be surprised if it has a5.5" display instead of 5.3". Frandroid used an app to show screen size, they didn't actually measure it. Capacitive buttons confuse such apps, and the Nokia 9 has capacitive buttons. My 5.2" 1440p Moto XT1225 (with capacitive buttons) shows up as 4.59" for some reason on such apps.